#IKEA has recently officially announced that it is opening its first store in #Ukraine. The opening is planned for summer 2019. The first store in the new city store format will be located in #Ocean #Mall, a new shopping mall that is soon to open. According to Ukrainian #president, the #Swedish-Dutch #furniture giant’s expansion marks the start of an #investment boom. The Swedish-Dutch furniture giant IKEA officially announced its plans to open a store in Ukraine. The opening is planned for summer 2019. The first store in the new city store format will be located in the new Ocean Mall that is soon to open. Therefore, the timeframes will depend on the Ocean Mall opening. The store in the Ocean Mall will take an area of six thousand square meters. The long-awaited news was announced by President Petro Poroshenko. According to him, IKEA’s expansion marks the start of an investment boom. The company, which is currently the most popular chain of home goods retailers, was founded in 1943 by Ingvar Kamprad in Sweden. Ukraine, along with France, the UK, Denmark, the USA and China, will be one of the first markets where IKEA opens a new city store format. The new stores are smaller in size and located in the city center so that the customers can do shopping closer to their home. 120 people will be employed by IKEA in Ukraine: one half will work directly in the store, while other 60 employees will be working in logistics. In the first half of the year, 3,600 items will be on sale. Later, their number will be increased up to 7,000. 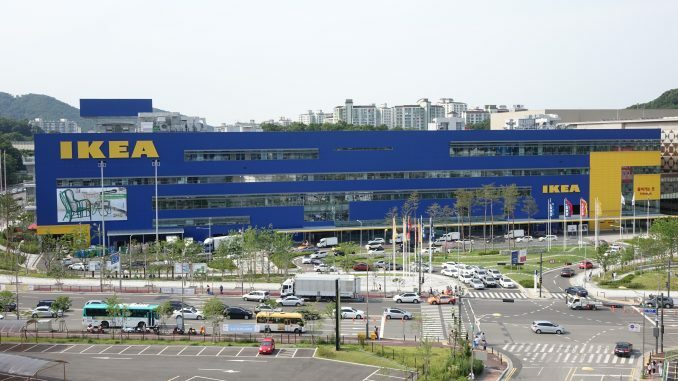 IKEA has decided to start the operation with 50 percent and to expand the range over time. In the first phase, no electrical appliances and no plants will be sold as that requires special permits, the obtaining of which can take some time. The goods will be delivered to Ukraine from the regional distribution center in Poland. In the future, the company plans to focus on the development of online sales in Ukraine.